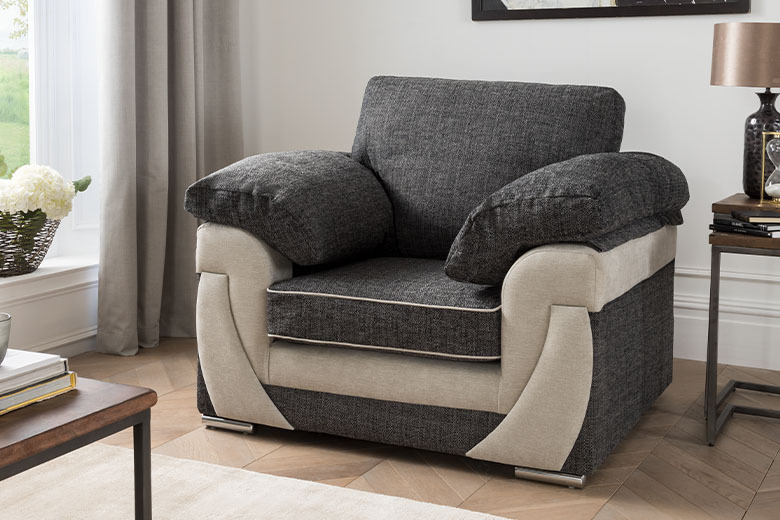 Rihanna sofa group offers the ultimate choice, with a large corner sofa, 3 seat sofa, 3 seat sofa bed, 2 seat sofa and cuddle chair, any combination to suit any home. 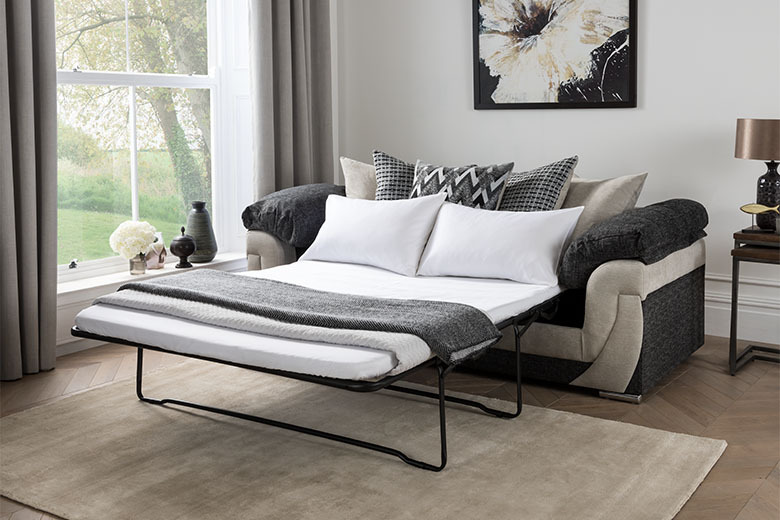 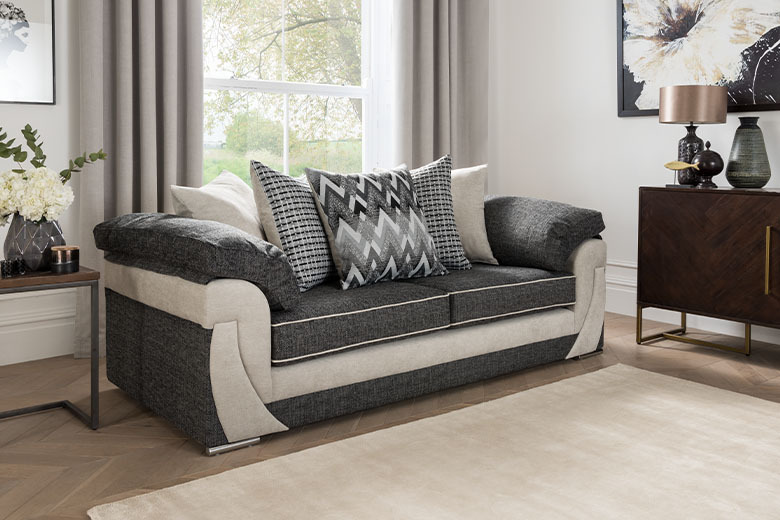 The striking fabric combination with reversible cushions allows you to create different looks to co-ordinate to any room. 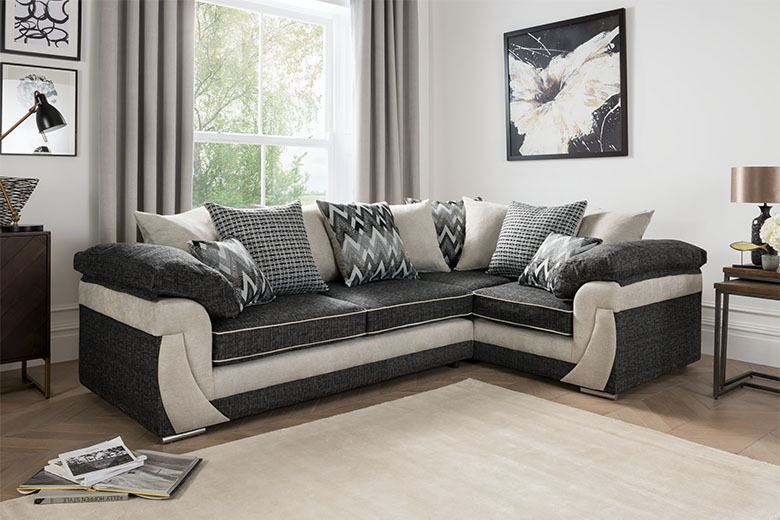 Large corner sofa with sumptuous comfort.